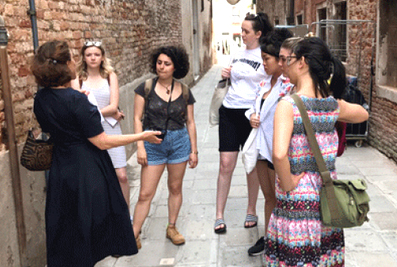 This is the second year that WahV has been asked by the British Council to provide orientation sessions to their Venice Fellows, as a Supporting Partner. 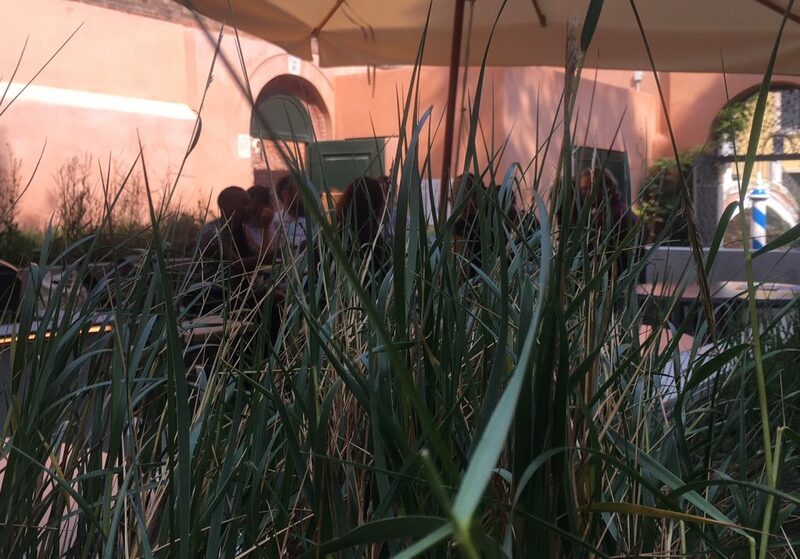 The students and researchers come to work at the British Pavilion during the Biennale with travel scholarships from participating institutions. 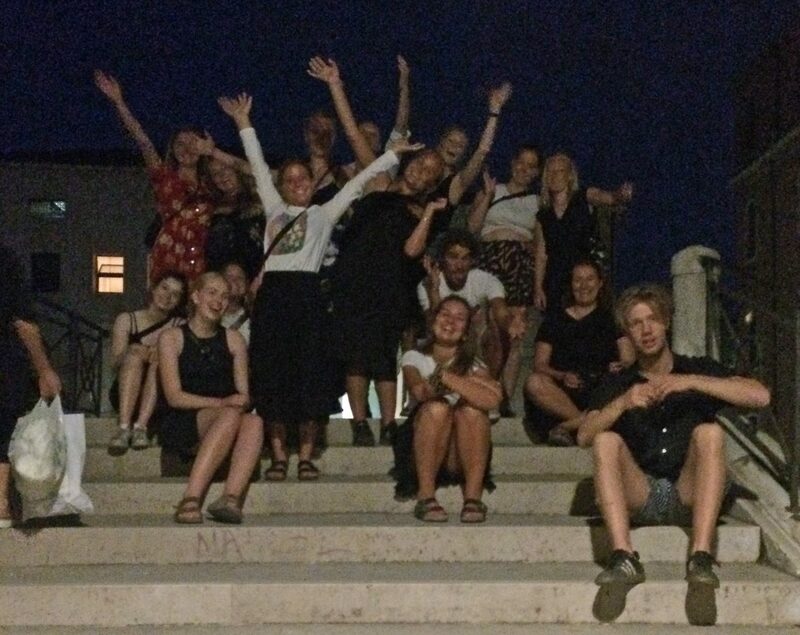 Read what the fellows learned and took from their orientation sessions in Venice in their blog write-ups on the British Council website! Jane da Mosto walked this group on an orientation walk from Ss. Giovanni e Paolo and ended up at the Arsenale. 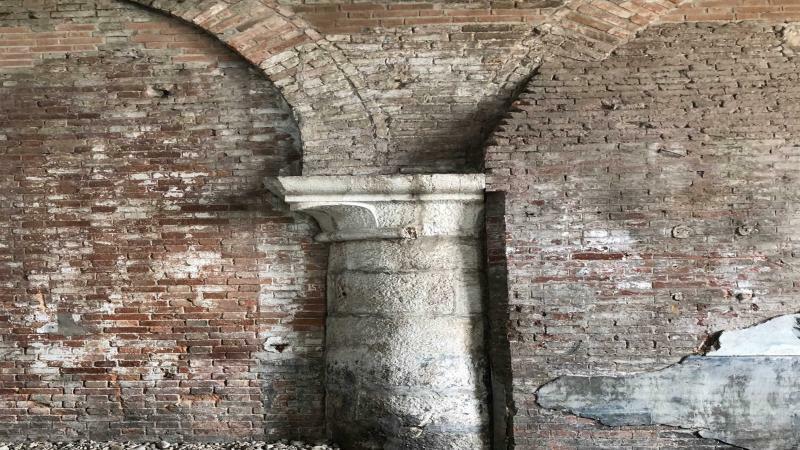 The fellows were amazed that such a large area was so under-utilised and they consequently took great interest in the proposals developed by the Forum Futuro Arsenale. WahV is a Supporting Partner of the British Council Fellowship Programme 2018. 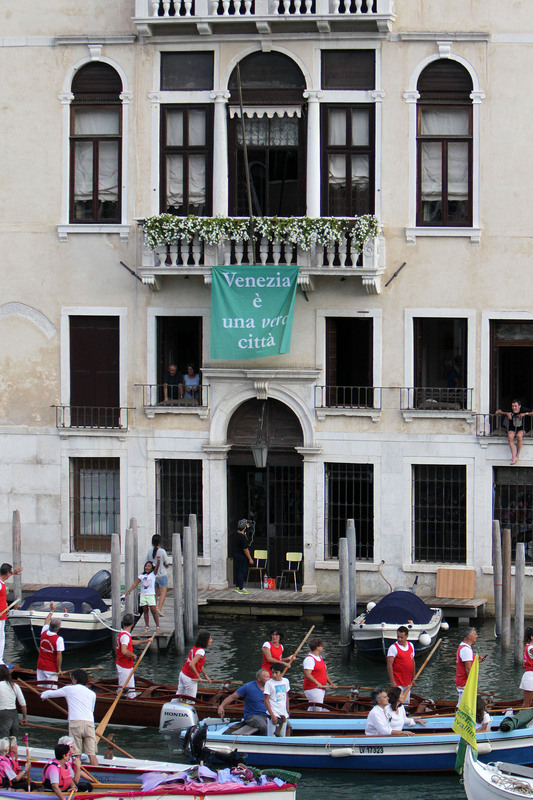 For a number of consecutive years, WahV has provided support and guidance to British Council Venice Fellows. 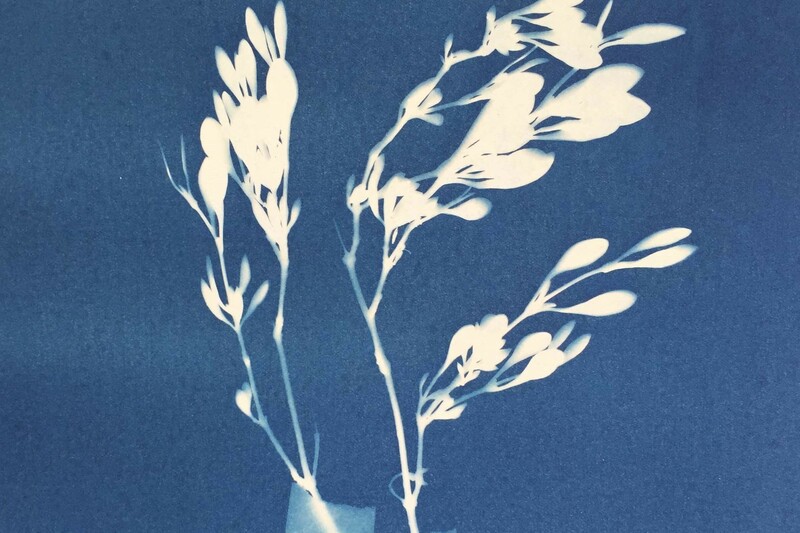 Participant Fellows have the opportunity to conduct research whilst also working at the British Pavilion during the Architecture and Art Biennales. This year, each group of Fellows (approximately 69 in total) will have the opportunity to attend an orientation session led by We are here Venice. 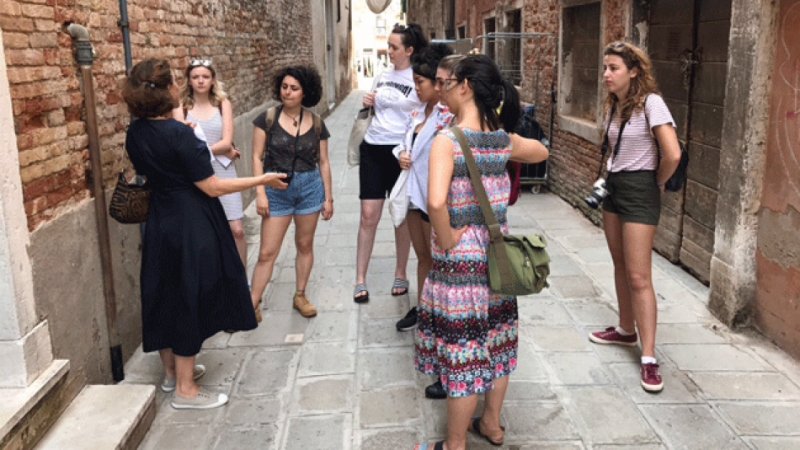 In this session, essential Venice knowledge and resources are shared, giving Fellows a valuable introduction to the city, framing certain issues, unique features and urgent challenges to help the students understand the physical and social realities of their host city. 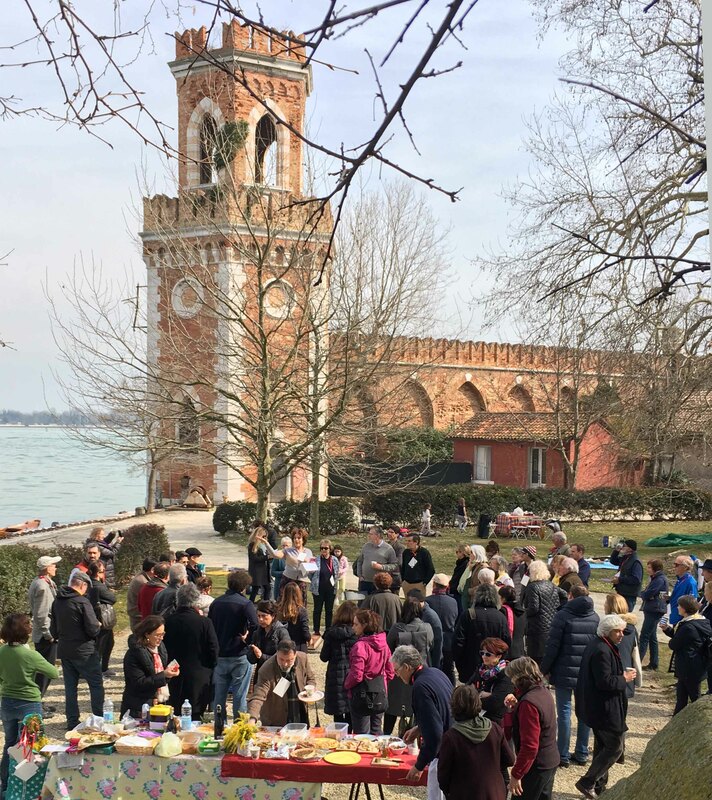 We are here Venice provides mentorship as part of the British Council Venice Fellows programme for students at participating British institutions to give them an opportunity to conduct research while also working at the British Pavilion during the Architecture and Art Biennales. 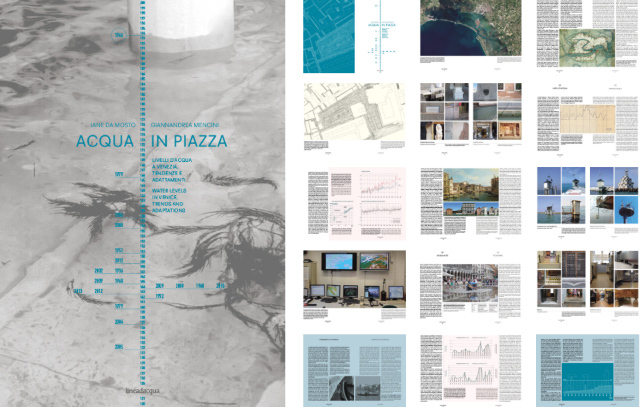 During the 2016 Architecture Biennale WahV participated in some research by just one Fellow, Isabelle Morgan of the Bartlett School of Architecture- UCL, regarding the conceptualisation of ecology and sustainability among the installations and curators of the exhibition. In 2017, with the arrival of a new batch of Fellows from June to November, WahV offers an introductory session to the city, framing certain issues, unique features and urgent challenges to help the students to understand the realities of their host city.